Latest News Items and Site Updates! - Freshly shorn: Alpacas for Sale - alpaca packages available of alpaca males and female alpacas - see the Alpaca Sales section for details! - We still offer various accommodation options in Dunedin: we run the ASURE 755 Regal Court Motel in Dunedin, not far from our farm and the Otago Peninsula. For more details & Alpaca News: select this link! Accommodation, Alpaca News, Alpacas for SALE! Please check these pages for those updates! 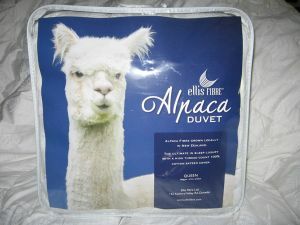 Selection of our alpaca duvets & luxury pillows. Flagstaff Alpacas: 'home of the Wonderful Alpaca' have been breeding alpacas and creating alpaca products in, Dunedin, Otago, New Zealand since 2001. As our passion for these wonderful animals has grown we have also developed a successful business for this lifestyle through alpaca sales, alpaca products, such as our alpaca duvets and throws, and a variety of local alpaca services from our 'Alpacamobile' transport. And we chose "Wonderful Alpacas" because that sums up these guys as they are really 'wonderful' to farm. 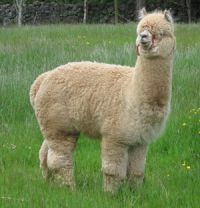 Visits are welcome to meet our alpacas and see our alpaca products by appointment - please make contact. 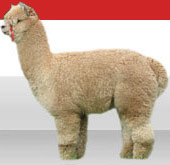 For alpaca farming information try our FAQs page!. Visits and visitors are always welcome for guests staying at our ASURE 755 Regal Court Motel, Dunedin! We do have Alpaca Open Days through the year or make contact for visits by appointment! We are farming our alpacas around Dunedin and on the Otago Peninsula if visits in those locations are preferred. Follow us on Twitter '@AlpacaNZ', Instagram 'flagstaffalpacas' & Facebook!